happen. All the threats of crime and terrorism pale beside the scope of what natural forces can bring about. But through the centuries people have had a hard time accepting the ideas that our lives, hopes and dreams can be overturned merely by natural forces that are not directed at us. As I read the news reports I started wondering when people began to acknowledge how little control we humans have over nature and began reading about earthquakes. 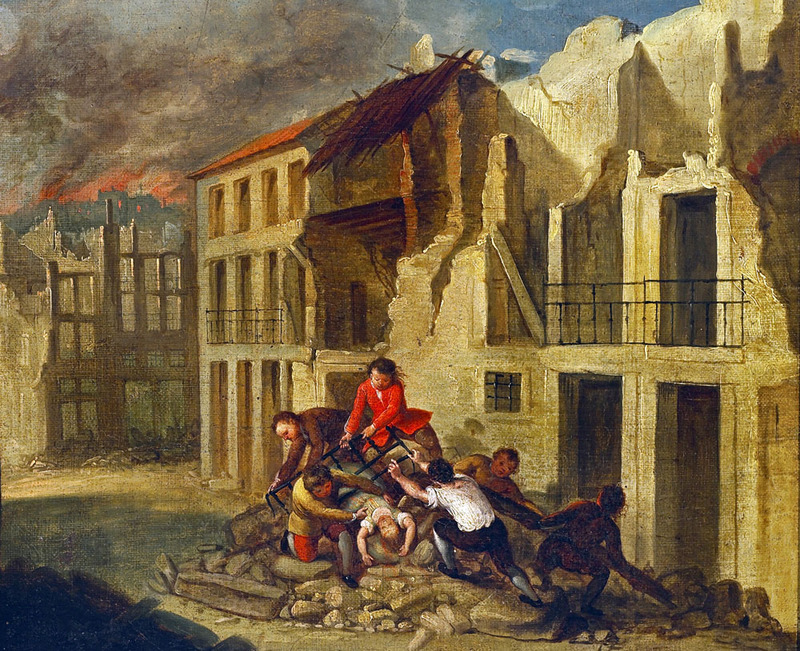 The Lisbon quake, more than 250 years ago was a kind of turning point in how Europeans and Americans viewed the causes of natural disasters. When the earth shook and Lisbon, the magnificent capital city of Portugal, started falling in ruins, the attention of the world was captured. The Lisbon quake was probably the first worldwide—or at least European-wide global calamity. Earlier disasters, from the volcano at Pompeii to the Great London fire, had been of interest mostly within the country or region where they occurred. But by 1755, Europeans had become internationalized. They traded with other countries, exchanged ambassadors, and understood that disasters could spread damage from one country to another. What people could not understand, or didn’t want to understand, was that they had no control over these destructive forces. And showers his Judgments down! A century or two earlier the religious reaction might have been accepted and prayer and fasting become the only solution to the damage, but by the 18th century, philosophers had begun to ask other questions. Perhaps God wasn’t regulating everything that happened on earth. Perhaps there were forces that could not be controlled by prayer and repentance. Thoughtful men and women became divided on the causes and appropriate responses to unforeseen events. For the first time a number of governments throughout Europe began sending aid and supplies to Lisbon rather than just advice about purifying the city. George II of England encouraged the House of Commons to send 100,000 pounds to “send such speedy and effectual relief, as may be suitable to so affecting and pressing an exigency.” It was the beginning of international disaster aid which has since become such an important part of the world scene. 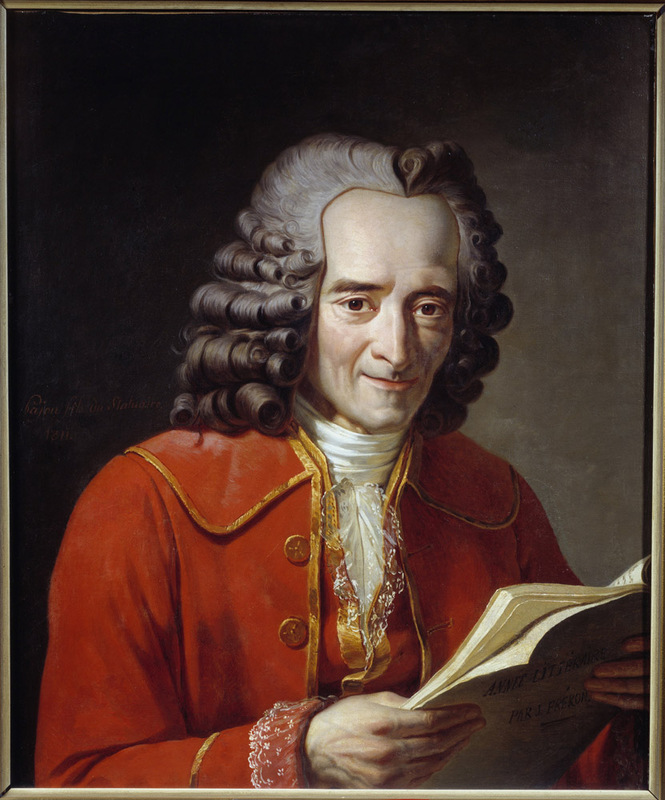 Culturally, however, it was perhaps Voltaire who stamped the earthquake most firmly on the consciousness of the world. He turned from the optimism of his early days when he accepted Alexander Pope’s belief that “Whatever is, is right” and became a skeptic. 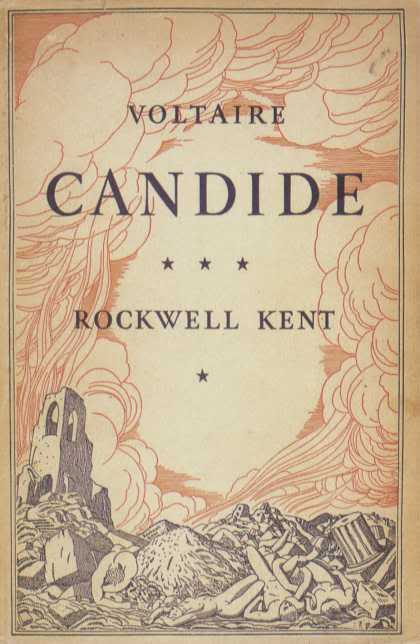 His story Candide has delighted readers from that day to this and in recent years as a drama it has been produced in theaters throughout the world. There is so much to be said about the Lisbon earthquake and the lessons the world learned from it. One book that recounts the story vividly is Nicolas Shrady’s The Last Day: Wrath, Ruin, and Reason in the Great Lisbon Earthquake of 1755. It is available in many libraries as well as on amazon.com and it will give you a lot to think about. Now that the earthquake has hit Nepal, we can at least be thankful that international response and help came immediately. Volunteers from many countries have converged on Katmandu and the surrounding area to help victims. The damage to individuals and families can never be undone, but at least the world has learned to care and not to judge.